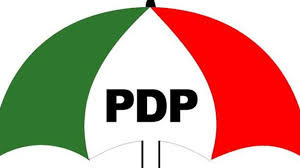 The leadership of Lagos State People’s Democratic Party (PDP) and the party’s candidate, Mr. Jimi Agbaje, are embroiled in a war of words over the management of the campaign funds released by the party’s presidential candidate, Alhaji Atiku Abubakar, to the state chapter. PDP chieftains said Agbaje’s conduct was responsible for the party’s abysmal performance. The party spokesman, Mr. Taofik Gani, yesterday alleged that Agbaje sat over the campaign funds and alienated strong members and leaders of the party from the final disbursement for logistics. This action, he said, consequently reflected in the performance of the state PDP during the elections. Gani, who visited The Nation office in Lagos yesterday, said: “As the image-maker of the party, I’m still struggling to defend the issues surrounding the disbursement of the election logistics because the action is such that can undermine loyalty, commitment and selflessness to the party. But, Agbaje’s spokesperson, Mrs. Modupe Ogunbayo, dismissed the allegations made against her principal. She explained that there used to be campaign meetings at Agaje’s office at least once in a week, which was always attended by the party’s spokesman, Mr. Taofik Gani.